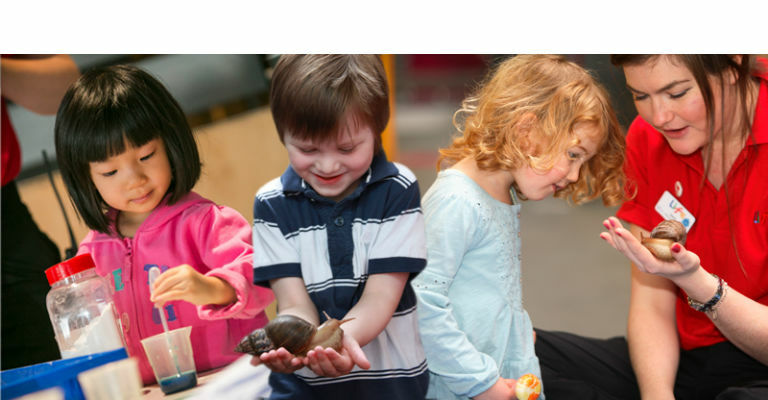 These regular events, led by Life’s friendly Science Explainers, provide a delightful opportunity for young children to enjoy and explore the Science Centre. Each session offers a mix of classic activities, such as Piccolo Music workshops, mini-beast handling and a toddler bubble disco alongside new activities, so that every event is different. Access to our hands-on Young Explorers Zone and special planetarium show, Little Bear goes North, is also available during these special days. Please note: for all sessions, we advise that the ratio should be 1 adult to a maximum of 3 children. Adults are responsible for the supervision and safety of the children in their care at all times. As water play is available, we advise adults to bring spare clothes for children. Pre-school days are drop in events so you can arrive and leave when it’s convenient for you, but please be aware that spaces in Piccolo Music Workshops are limited and do tend to get booked up quickly.